Sleep, study, or socialize? Rumor has it college students can only pick two of the three. This decision may seem easy to some of you, but let’s be real: it is actually terrifying. It basically asks you if you want to be mentally fuzzy, a failure, or a loser. I don’t know about you, but I’m not a big fan of any of those options. Thankfully, my college experience has proven to me that you really can have it all. Sort of. Just like most of what we hear, the “pick two” scenario of college life is very overgeneralized. Yes, one night I might choose to stay up late to make a fast-food run with friends and cram for a test the next day, but then I would probably do a minimal amount of homework and catch up on my Z’s. If I have learned anything in college (besides a ton of engineering stuff), it is that you can make anything work. So now I’m sure you all are thinking, “Yeah, but how?? ?” Here are some semi-obvious but often neglected questions you should be asking yourself daily. How am I doing in my classes? At the end of the day, the real reason we attend college is to open up job opportunities. Everything else is a bonus. Now, this question has two sides to it. If you are not making the grades you know you need to meet your goals, it is time to crack down. 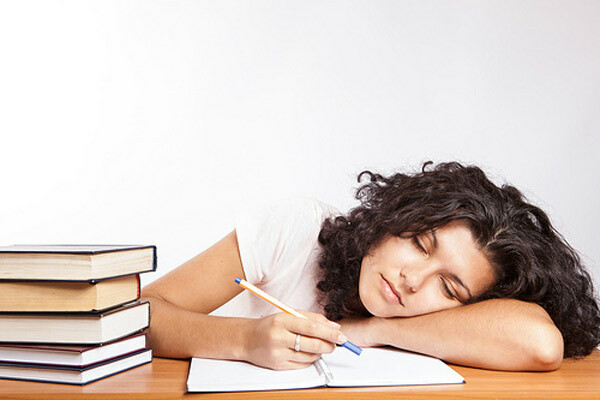 Skip the parties, and maybe give up a few hours of sleep to study. However, just because grades are important doesn’t mean they are life. If you’re doing fine in your classes, then live a little! How many hours of sleep have I gotten this week? Our bodies are awesome. Just the fact that we breathe without having to think about it is crazy! Unfortunately, we are not superhuman. Here is a simple equation: person – sleep = less functional person. Like I said earlier, grades are important. What I failed to mention is that without an adequate amount of sleep, there is no way you will score well on anything. Sleep is how we sort and retain what we have learned. Also, I think we can all agree that you say some pretty rude and very stupid stuff when you’re tired. So if your answer to the above question is “What is sleep?” then it is time to turn off your phone, put down your books, and give your body what it is begging for. No, but really. I don’t know about you, but I am not a machine. My life is not complete if I spend it studying, eating, and sleeping. I need fun! I need friends! I need to lie in my bed, watch Netflix, and not move for hours. Sure, I understand that I can’t have those things all the time or in too high doses, but there’s no point in being at the top of my class and getting a solid eight hours every night if I am miserable. College is an incredible experience, and you will regret it if you miss out. No matter how busy or sleep deprived you are, there is always a way to make sure you get to do what makes you happy. Do you like individual time with friends? Have a quick coffee date. Does Netflix jazz you up? Watch an episode of your favorite show (seriously, just one) before bed. Life is messy. I understand it seems like I just took three very different things and said they are all the most important, but I promise that is not my point. What I’m really trying to convey here is that sleep, studying, and socializing are all vital to the college experience. No, you can’t have it all every day. I mean, who gets to sleep or socialize during finals week? But do not place yourself within a label. You can be social one week, a nerd the next, and then go into grandma mode and go to bed at 7:00 pm. Just live your life in a way that lets you leave college with no regrets. Christi is a junior at Oral Roberts University who is attempting to become an engineer. She is originally from Virginia Beach and loves hiking, racquetball, and watching Netflix. Christi has worked as a nanny, waitress, dance teacher, and currently serves as the resident advisor on her floor. This year her brother is joining her at ORU and she could not be more excited.